Of course, the speed of light is fantastic, about 186,000 miles per second. So, it only takes nanoseconds or less to go the 150 feet from from the spot lights, reflect off of the violinist, through my super-photo lens and onto my image sensor. 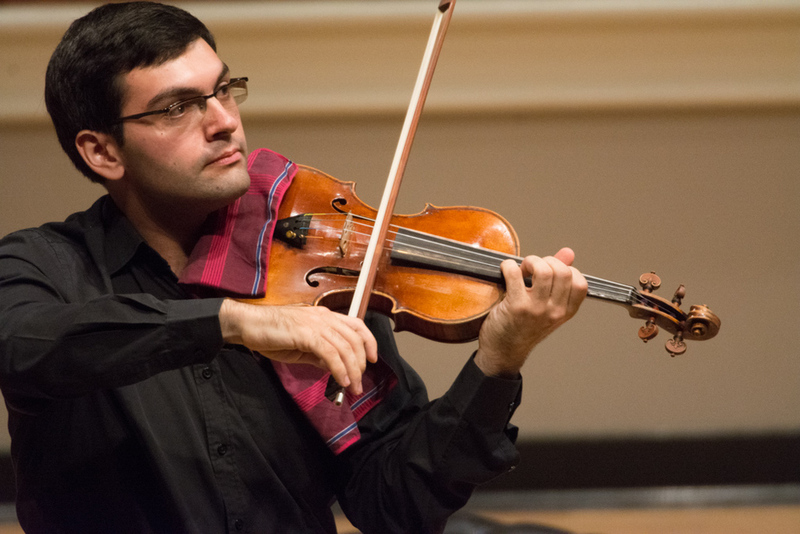 Each photon is reflecting off of a different molecule of the performer, especially as he or she speeds through a Paganini Caprice or Ellen Taaffe Zwilich's "Fantasy for Solo Violin". As the photographer, I have to decide how much time may elapse. 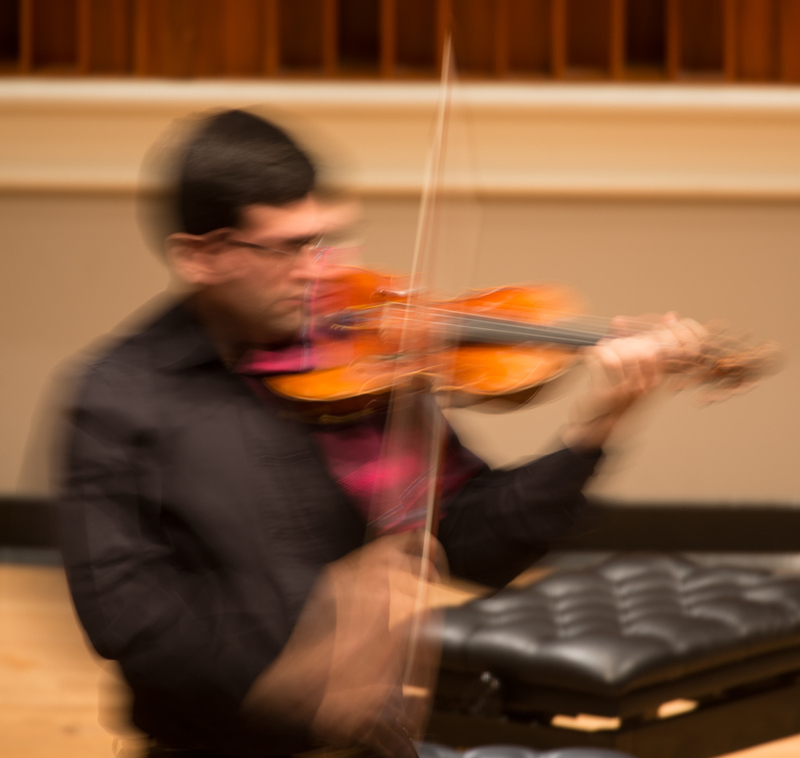 I can capture a 1/500 second burst that virtually freezes the violinist's motion but this often seems wrong to me. The feeling of astonishing speed is one of the wonders of the performance. In these photographs, I experimented with a range of blur. The first one of Kristi Gjezi was .3 seconds. I'm not sure how many times the bow went up and down in that time. I like this photograph. It feels like "writing with light" which is the meaning of "photo-graphy". Most of the time, I seek a balance with more sharpness and only a hint of motion blur. What do you prefer? All photographs © Denis Ryan Kelly Jr.